Game of Thrones Season 7: What Happens Next? Game of Thrones season six ended in literally explosive fashion, and we’re now hurtling into the show’s endgame. Daenerys is finally on her way to Westeros with a fleet of Iron Born, Dothraki and the Unsullied, with a Tyrell/Dorne alliance joining her. Cersei killed basically everyone and is now on the Iron Throne. Jon is the King in the North (at least until Littlefinger tries to kill him) and Arya finally avenged the Red Wedding by killing Walder Frey. So, for once, the show answered some questions and tied off some plotlines (bye, Meereen!). But there’s still a lot to be resolved. Here’s our best guess at what happens next, based on facts, assumptions and downright speculation. We know now that he is not Ned Stark’s illegitimate son – he’s his nephew, the son of Ned’s sister Lyanna. It wasn’t exactly the most shocking reveal, as fans guessed it long before the books even came to TV. Fans assume his father to be Rhaegar Targaryen, and while that wasn’t confirmed in the season six finale, it was confirmed that Robert Baratheon – the only other candidate – wasn’t his father, as Lyanna begged Ned to keep Jon safe from him. HBO seems to have accidentally confirmed that Rhaegar is Jon’s father, but that’s yet to be confirmed on screen. We currently have three groups roaming around the Riverlands: Brienne and Pod, the Brotherhood Without Banners with the Hound, and Arya on her own. The chances of at least two of the groups converging is quite likely. Even if you haven’t read the books, you’ve probably heard fans complain about her absence from the TV series. It seems very unlikely that the book version of Lady Stoneheart – who leads the Brotherhood – will make an appearance. Instead, Arya, now a cold-hearted, revenge-obsessed assassin, could fill in for her, especially if she crosses paths with the Brotherhood. Could Arya become Lady Stoneheart? When Melisandre and Arya crossed paths in season three, Melisandre predicted that Arya would kill people with brown, blue and green eyes, and said that they would meet again. 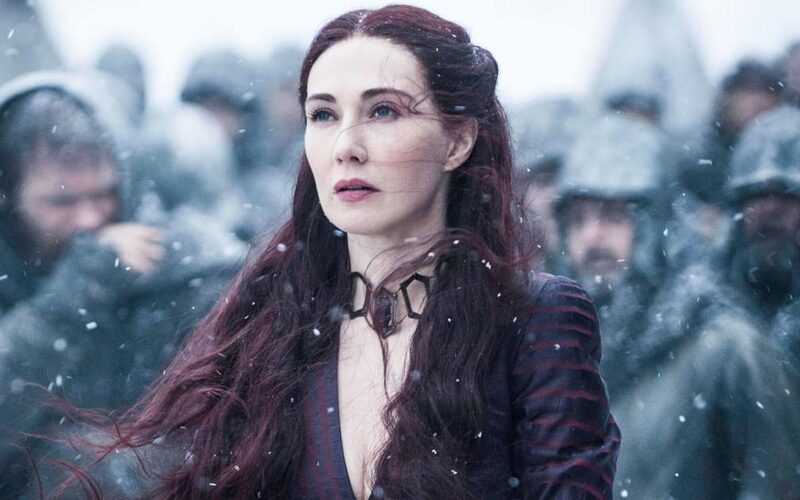 With Melisandre banished from the North and riding south, it looks like that meeting could well happen in season seven. And seeing as Melisandre is still on Arya’s kill list, that meeting might not end well for the Red Priestess. Cersei’s jumped off the deep end of sanity and, after burning all her enemies to death, is now on the Iron Throne. But it’s her own family she has to look out for – Jaime looks pretty horrified by her actions, and Tyrion is on his way as Daenerys’ Hand – the ‘younger, more beautiful’ queen that Maggy the Frog prophesised to young Cersei, in the same prophesy that forsaw the deaths of her children. Jaime’s killed a monarch for the greater good before – could he be about to do it again? Skip this paragraph if you want to avoid a book spoiler – In the books, Maggy’s prophecy also said she’d be killed by the ‘valonqar’, a gender-neutral word meaning ‘younger sibling’. Both Tyrion and Jaime are her younger siblings, but the prophesy could also refer to any younger sibling – for instance Arya, or Daenerys. But the fact that it was cut from the series could mean that the show is going in a different direction to the books. A lot of people hoped to see brothers Sandor and Gregor Clegane fight to the death at Cersei’s trial. But just because it hasn’t happened yet, doesn’t mean it isn’t going to happen at all. Frankly, the animosity between the Hound and the Mountain has been set up too much for it not to be resolved in spectacular bloody style. Heck, both characters were even brought back from the nearly-dead. Benioff and Weiss can’t waste that opportunity, surely? Remember him? The guy who killed Balon Greyjoy, nicked the throne from Yara and promptly set about building a navy to sail to Essos and ask for Daenerys’ hand in marriage? Well, Daenerys managed to put together a pretty nifty armada of her own. It seems impossible that she wouldn’t take over King’s Landing within the first 15 minutes of season seven until she runs into a serious problem on route. 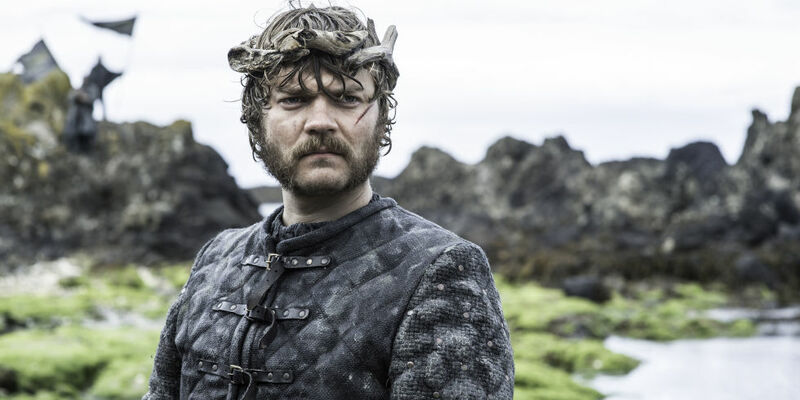 Enter Euron Greyjoy. The Iron Islanders are famously the greatest sea-farers in Westeros. Even with her dragons, Daenerys could see her army decimated if she were to encounter Euron on the sea. Who EVER knows what Littlefinger is up to? He wants the throne, and for that to happen he needed Sansa, who he hopes to marry, to be the Queen in the North. With Jon being proclaimed monarch over her, that puts a spanner in Littlefinger’s works – one you can be sure he’ll deal with. Jon might be good in a fight, but he’s unlikely to see Littlefinger coming – especially if he keeps ignoring Sansa’s advice. Is Meera Reed Jon Snow’s twin sister? Fans have long theorised that the two could be the Luke and Leia of the Ice and Fire series, and that Lyanna gave birth to twins in the Tower of Joy. Ned Stark went there with Meera’s father, so they could both have gone home with a bundle of joy that day. That said, the Tower of Joy flashback in the finale only had one baby in it, so this theory might be debunked now. Ever since Bran affected Hodor’s past (essentially turning him into Hodor) fans think that many of the historical events in the show could be down to him – everything from turning the Mad King mad to actually being the Bran the Builder who built the Wall in the first place. Benjen Stark handily told us in the finale that, as a supernatural creature, he can’t pass through the Wall as there is magic in it that stops things like White Walkers from passing it (which at least explains why they didn’t march on the Wall five seasons ago). However, Bran has the mark of the Night’s King on him, the mark that allowed the White Walkers to pass into the Three-Eyed Raven’s cave, which was protected by the same magic at the Wall. Will Bran accidentally doom everyone by passing through the Wall, breaking the enchantments that keep the White Walkers in place? Well, he has a track record for dooming people to death, so, yes. Poor Gendry, still rowing. Forever rowing. But he’s the last person left with a Baratheon claim to the throne, so he could come back into play in season seven to challenge Cersei’s unsteady claim on the Iron Throne.